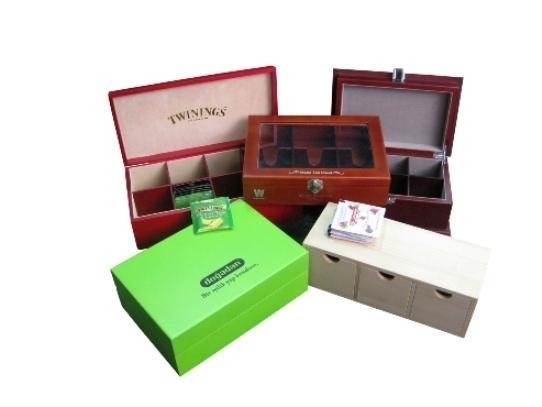 Extreme Enterprise is China's premier manufacturer, wholesaler, and exporter of high quality custom made wooden boxes for tea bags, chocolates, wine bottle, book and etc. Specializing in custom wooden tea gift boxes and wooden chocolate boxes, we take great pride in our commitment to customer service, producing exceptional products and delivered to your business in a timely fashion. Our skilled craftsmen have years of expertice in designing and creating beautiful wooden boxes all at an affordable price. We take great pride in the customer base we've established through the years, working with very large, internationally known companies, as well as smaller corporations. In an effort to keep up with demand, we are growing and recently started a new factory, Prettywood Box Company, which has expanded our workspace significantly. Whatever your wooden tea gift storage boxes and wooden chocolate packaging boxes needs, we have the capacity and expertise to create your custom product, plus exceed your expections in doing so. We are committed to your success. Contact us now for a quote today!